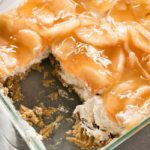 No Bake Apple Cheesecake Dessert – This easy to make apple dessert is so delicious, with just a few ingredients! A no-bake graham cracker crust filled with a creamy cinnamon sugar cheesecake and topped with apple pie filling! Well, here I am you guys, sneaking in one last apple dessert right before Thanksgiving! This one is so impossibly easy to make, there’s no reason not to get it on your holiday menu. Basically, I still had an extra can of pie filling in my cabinet. I was itching to use it up, but I wanted something fun and different from traditional apple pie. Growing up my mom always made a cherry pie filling dessert that everyone always raved about. So, that’s where the inspiration for this cheesecake like apple goodness came from! My apple dessert starts with a simple graham cracker and pecan crust. 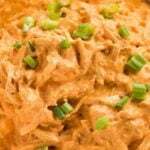 The easiest way to make this is to grind the crackers and pecans together in a food processor or blender for a really nice fine consistency. A great tip is to press the crust into the bottom of the pan with the back of a measuring cup. This will make sure the crust is in the pan nice and firm, so that it won’t fall apart when you cut this for serving.Another note is that it’s best to let this crust chill for a good 30 minutes before adding the filling! Our filling is really delicious with fall flavor as well! 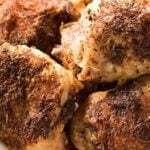 I love using brown sugar and cinnamon for those warm flavors that really compliment the apple. 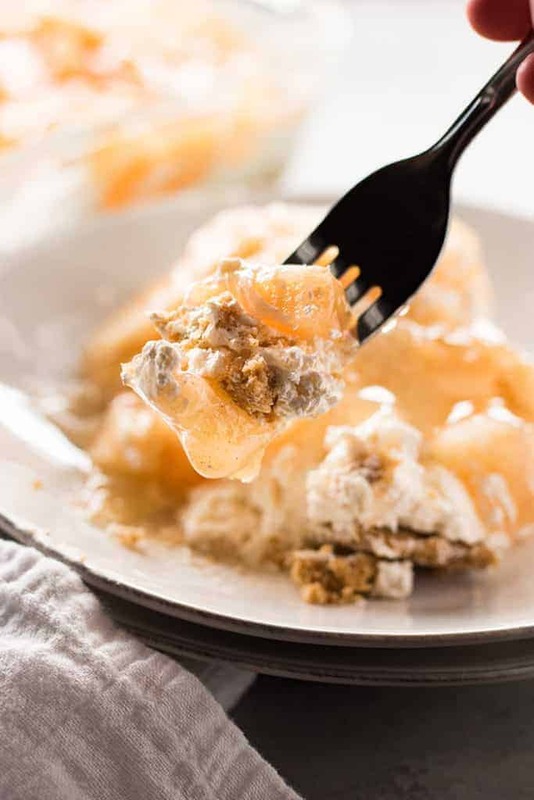 Your filling will be nice and thick, creamy, and after adding it and the pie filling you can serve this dessert right away if you’d like or chill for later. I hope you all enjoy this dessert as much as we do, and happy Thanksgiving! No Bake Apple Cheesecake Dessert - This easy to make apple dessert is so delicious, with just a few ingredients! 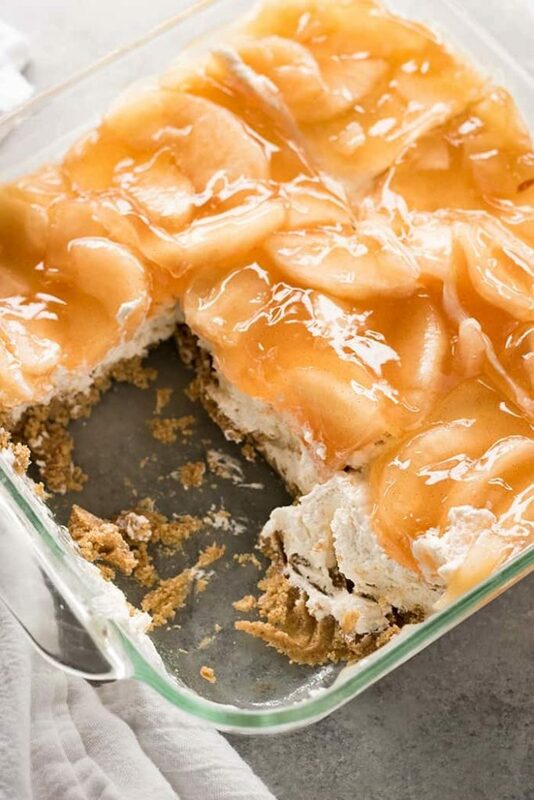 A no-bake graham cracker crust filled with a creamy cinnamon sugar cheesecake and topped with apple pie filling! 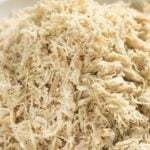 Add the graham cracker crumbs and pecans to the bowl of your food processor and pulse until coarsely ground. Add the sugar and melted butter and process until everything is well combined and finely ground. Press the crust to the bottom only of a 9x9 inch square baking dish. Chill crust in the refrigerator for 30 minutes. In a large bowl mix together the cream cheese, brown sugar, vanilla, and cinnamon with a hand mixer until well combined. Fold in the whipped topping. Spread the cream cheese mixture over the chilled crust. Top with the apple pie filling. Serve dessert immediately or chill until ready to serve. NOTE: Cook time listed is time for chilling the crust. Are you able to make this without the whipped topping? OMG!!!! So easy and delish. Made it for a birthday treat for someone. While taste testing along the way I had a thought…. 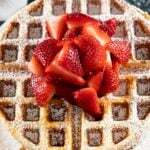 the filling without the crust would make an amazing dip to serve with graham crackers or Vanilla Cookies. Will definitely be making this for years to come. Thank you so much ? 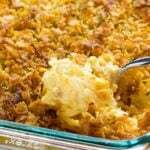 I think I’m going to double this recipe and make it for a holiday party that I’m going too! You can never go wrong with cheesecake, and this makes it so much easier! This looks absolutely delicious. Not to mention, I love the no bake part! 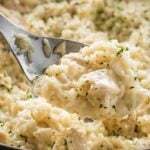 Tbis seems so easy and delicious! THIS is what I am taking to our thanksgiving dinner at the in laws! Oh my goodness.. 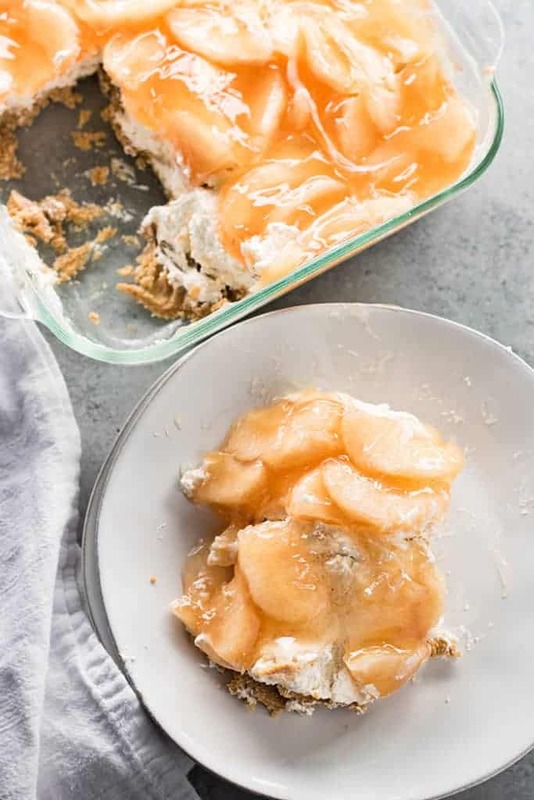 I am a big fan of no bake desserts and I am all game for this apple cheesecake!! Loved that is so easy to make.. can’t wait to rmtry this! Yeah…. this would not last long at our house. Oh man, that truly looks delicious! I love no bake desserts! So easy! I have to make this one! I was so curious to see how an apple cheesecake was made. This looks delicious and very inventive. I love all kinds of cheesecake!! This sounds like a nice Apple cheesecake that to without baking !! 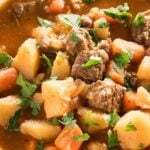 Thanksfor such a lovely recipe!